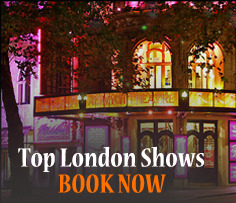 From special anniversaries to cutting edge exhibitions, enticing attractions to mouth-watering musicals, the hottest hotel openings and brand new events for your travel calendar, VisitBritain presents its guide to What’s New in 2013 across London, England, Wales, Scotland and Northern Ireland. Download What’s New in Britain for 2013 now. So – what’s new in Britain? 2013 is a year of GREAT anniversaries. The 200th birthday of the publication of Pride and Prejudice will celebrate Regency Bath and Austen’s Hampshire as much as the timeless tale of wit and romance between Darcy and Elizabeth; while the 60th anniversary of the Royal Yacht Britannia coincides with the 60th anniversary of The Queen’s Coronation. It’s the perfect time to visit the Britannia – the only place you can sneak a peek into Her Majesty’s bedroom. 2013 is a year of GREAT events. The Year of Natural Scotland will celebrate all that’s exciting about the great outdoors making it the best time to explore the country’s rugged landscapes and beautiful scenery. Meanwhile the first UK City of Culture will be Derry-Londonderry in Northern Ireland, tipped as one of the top 10 places to visit in 2013 by Lonely Planet. Join in a year-long programme of world-class music, art, dance and sports events, and discover a vibrant new visitor destination. 2013 is a year of GREAT culture. On stage Judi Dench and Ben Whishaw (aka M and Q in Skyfall) star in new play Peter and Alice; Helen Mirren reprises her role as The Queen in The Audience; and the award-winning play War Horse tours the UK, starting in Devon, where the original book is set. The Welsh National Opera takes on Madame Butterfly, Berg’s Lulu and Janáček’s Cunning Little Vixen while fans of musicals will be happy with Hairspray at the Wales Millennium Centre and Wicked, which tours the UK in Autumn. For art lovers there’s Lichtenstein at Tate Modern in February, The Secrets of the Royal Bedchamber at Hampton Court Palace, Vikings! at the National Museum of Scotland, a retrospective on David Bowie at London’s V&A and lots more fantastic exhibitions throughout the year. 2013 is a GREAT year to bring the kids to Britain. With a new Children’s Literature Festival in Cardiff, the launch of the £3.6million Tiger Territory at London Zoo and the tastiest musical of the year, Charlie and the Chocolate Factory – directed by the man behind Skyfall, Sam Mendes – there’s plenty to keep children entertained in 2013. 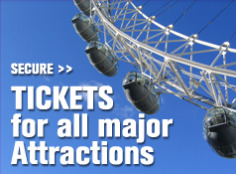 2013 is a year of GREAT attractions. From 1 February The View from Shard will be a new must-do for visitors to the capital, while iconic and ancient attraction Stonehenge will benefit from a dramatically improved visitor experience, opening in Autumn. Plus, read about exciting hotel and accommodation news: the opening of the much-anticipated Shangri-La at The Shard, restored castles in Wales Ruthin and Glandyfi and a new Malmaison in Dundee opening next year ahead of the arrival of a new V&A in Dundee, due to open in 2015. Click here to download the complete What’s New in Britain for 2013. In addition to fantastic new openings, don’t forget Britain’s GREAT annual events. Download VisitBritain’s guide to 2013’s annual events calendar here. Visiting the U.K in 2013 ?- Plan ahead and save money ! Posted on January 1, 2013, in London attractions, The Shard, Things to see and do, UK Sightseeing, UK Tourist News, VisitBritain, VisitEngland, What’s New in Britain for 2013, Whats on London. Bookmark the permalink. Leave a comment.